With more than 200 sovereign countries (most of which have subdivisions such as states, provinces, oblasts, etc.) and an estimated two million cities and towns, the world is full of flags. A lot of them are wonderfully designed and even more are just plain bad. However, not all flags fall neatly on this spectrum. To put it plainly, there are a lot of flags that aren’t necessarily good or bad; they are just bizarre. For the sixth post in this ongoing series, we are going to focus on the weirdest flags in Europe. Sorry, Ukraine. I think you’ve become the new Russia. Coats of arms are to European flags what seals are to western flags. I usually tend to prefer the heraldry found in coats of arms to the imagery in seals because there tend to have much more history and meaning behind them. This, however, is a coat of arms that has mutated into something horribly, horribly wrong. Aside from the castles and lions on the border, there are 12 different coats of arms within the the main coat of arms! “Everyone, relax! The bird king is here!” That royal bird is an eastern jackdaw. The only connection I could find between the jackdaw and Ivano-Frankivsk is that the city of Halych (which is in Ivano-Frankivsk) had the bird in its ancient coat of arms. The colors on either end represent the flags of the oblast’s former and current rulers: The middle age-era region of Red Ruthenia and Ukraine, respectively. This Polish province flag could have made this list for just one of it’s two major qualities – It’s unique shape that looks like it belongs on the side of a charter bus or the sad eagle king. Luckily for us, it has both! Ah yes, the return of our friend, the Ukrainian Cossack! Those of you who have read World’s Weirdest Flags Part 1 already know that a Cossack with a rifle in a historic Ukrainian symbol that has survived on some of their flags. But I just can’t get enough of the Cossack’s dramatic pose and the fact that he looks like he jumped out of a Super Nintendo game. The meaning of the Moor’s head as a symbol of Corsica is the subject of much debate that I will get to in a later post. The blindfold is placed above the Moors’ eyes in the current version of the flag to represent Corsican freedom. This would be a pretty unremarkable flag if it wasn’t for the rampant demon bear. There are plenty of rampant bears in coats of arms but this one looks like a depressed human put on a really bad bear costume. The final flag in our list is technically a historic banner used to represent the heir apparent of France from 1350 to 1791 and 1824 to 1830. Long story short, heirs were called Dauphines (French for Dolphin) because the coat of arms of the first person to hold the title featured dolphins (the coat of arms was pretty much the same as the flag). The title was sold to King Philippe VI in 1349 under the condition that all future heirs apparent to the throne hold the title. 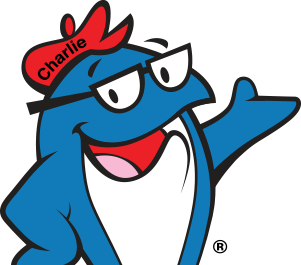 Apparently the dolphin in the seal is cousins with Charlie, the Starkist Tuna spokesfish.